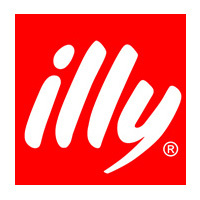 illy pioneered convenient, single cup coffee pods in the 1970s with E.S.E., making high-quality espresso accessible to all, and still popular today. Illy Caffe has developed the patented Easy-Serving-Espresso-System (short E.S.E. ), which almost all Italian roasters have joined. 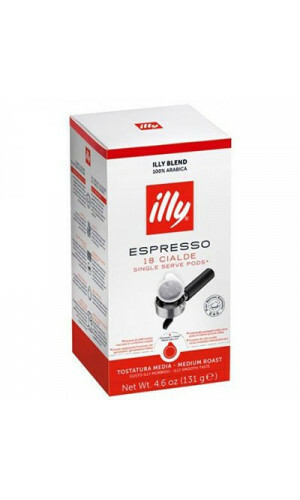 All varieties of illy coffee are also available as an ESE pad. Both loose and individually flavor-wrapped. Most experts today would agree that illy was ahead of its time in the 1970s, finding a way to make high-quality espresso easier to prepare and enjoy. The E.S.E. (Easy Serving Espresso) pod format presaged today’s popular pre-packed, single cup coffee-making formats, and remains a popular choice for passionate coffee lovers at home. Each E.S.E. 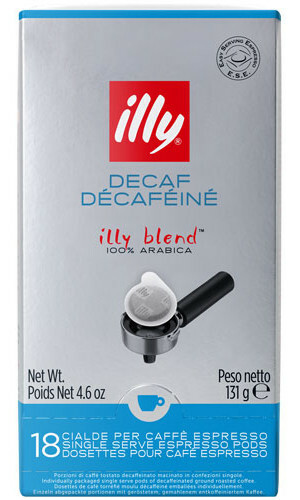 pod contains a perfectly dosed and tamped measure of the distinctive illy blend, enclosed in environmentally friendly filter paper designed to preserve critical flavor and aromas. An E.S.E. pod is simply placed inside a compatible machine, and within 30 seconds yields an espresso with the signature illy taste: strong, rich, yet smooth and balanced. (illy website) Consistently ensure an excellent, authentic cup of espresso, cappuccino and latte each time. Illy ESE pods are for home or office use with pod compatible machines. Popular illy single aroma packed Pods, perfectly balanced taste with fruity and wooden notes. Round, elegant and long lasting Bouquet. 18 illy SINGLE ESE Espresso Pods N 18 Pods of7g each = 125g, E.S.E. - These Pods are NOT suitable for Senseo, Lavazza or any other capsule system!